It was a busy weekend for the rescue services although given the avalanche risk and quantity of fresh snow things could have been a lot worse. Ski tourers seem to largely heeded warnings and opted for outings in the forests in lower mountain ranges where the risk was lower. The message still doesn’t seem to be getting through to some piste skiers who continue to take pistes closed due to the avalanche risk with no search and rescue equipment. A person has been seriously injured in the steep couloir of the Pas de Siara (S facing, 1295m) in the Diois range to the east of Valance. Not well known for winter sports enthusiasts the area has received a large amount of snow. There were impressive corniche above the couloir earlier in the week.. The Pas de Siara leads to the summit of Le Veyou (1589m). Around midday a ski tourer fell 15 meters into a “crevasse” under the Pic St Michel, a summit considered relatively easy and extremely popular with backcountry travellers. Limestone fissures are a feature of this route and have been the cause of other accidents over the years. The victim suffered serious head and chest injuries and was taken by helicopter in hospital. Visibility at altitude was good at the time. 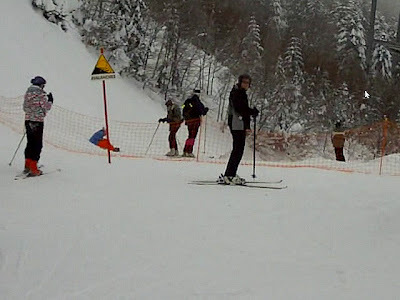 A British woman has been seriously injured at Grand Montets in Chamonix after falling and sliding off piste. Three off piste skiers who were not equipped with avalanche beacons or other safety equipment triggered an avalanche at 2600m in the Col des Mines sector of Verbier in Switzerland. The slide measured 200x600 meters and 1 meter deep in places. One of the skiers, a British national, was taken to hospital with mild hypothermia. Two people suffered minor injuries after eleven skiers were caught by an avalanche in Engelberg, Swtizerland. The slide measured 300x800 meters. Seven of the skiers were with a guide. On Saturday three off piste skiers triggered a large avalanche in the Marguns sector close to St Moritz. Two of the skiers were taken to hospital with minor injuries. Italy suffered its first avalanche death of the season at Sauze d’Oulx where 150cm of snow has fallen over the last few days. A group of four skiers were caught by an avalanche on Mt Fraiteve. Rescue workers had a long search to find the body of the victim. His companions face prosecution.